Gary is a Minister of the Word in the Uniting Church in Australia. He serves as the the Director for the Stillpoint Spirituality Centre and Minister of the Stillpoint Faith Community. He also serves as a retreat leader and teaches Christian Meditation. 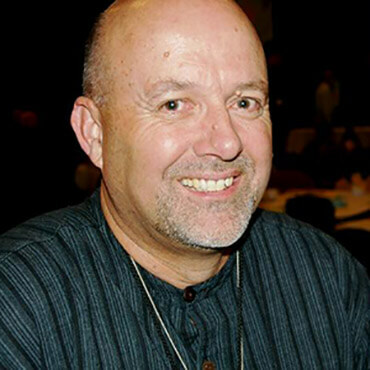 Gary is a life-professed domestic member of the Brothers and Sisters of Charity, who are an integrated monastic community based in the USA. The Stillpoint Community, which is located in the Adelaide Hills, seeks to draw its inspiration from the monastic arm of the Church. Gary trained for the Baptist ministry at Burleigh College and was ordained as a Baptist Minister in 1982. He has served congregations in Port Pirie in South Australia and Claremont and Byford in West Australia. He transferred into the Uniting Church and has ministered in the Taperoo, Marion and Colonel Light Gardens congregations prior to his current settlement at Stillpoint. He is currently undertaking a Doctor of Ministry program on monastic formation. In 2006, he and Ann Siddal wrote about nurturing our spiritual life in a book called Tending the Seed, which was published by Upper Room. Gary is married to Marilyn. They have two adult children and a grandson.